On Saturday, April 21, Vassar Track & Field honored its graduating seniors at the beginning of the Vassar Invitational. The men’s and women’s teams recognized six members each for their contributions to the program’s growth and success. “For both the men and the women, these senior classes will be a tough loss for us,” head coach James McCowan admitted. “They are all such wonderful students and inspiring people for their teammates and coaches alike.” The senior days were filled with numerous exceptional performances from both groups, many of which smashed personal and school records. 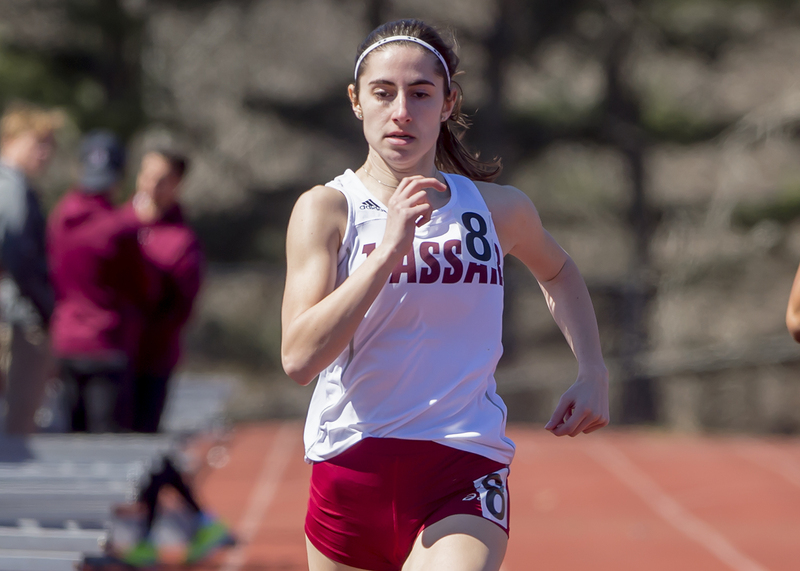 Scarlett has been a force to be reckoned with on the track for Vassar in his past two years. Last season, the distance runner placed first for the Brewers in every race in which he participated. His impressive performances have continued throughout the entire current season. At the Invitational, Scarlett demolished the standing school record for the 3,000-meter run—which has remained at 9:23.70 since 2006—with a time of 8:38.09. First-year Reed Dolan accompanied Scarlett in breaking the 3,000 meter record, posting a 9:15.58, which broke the 2006 record as well. This performance earned him a spot on the Liberty League’s weekly honor roll. Senior sprinter Johnson joined in on the day’s historic fun, finishing second overall in the 100-meter dash with a time of 11.12, good for a personal best and a new standing Vassar College record. Johnson’s fellow senior sprinter Schatz finished in the 400-meter dash with a time of 16:08.72, just behind sophomore sprinter Will Dwyer’s 16:03.00. Walsh placed second overall at the Invitational in the triple jump, earning a personal best distance of 12.25. The senior also earned the Brewers sixth place in the javelin throw with a 43.12 meter toss. Vassar’s underclassmen did not fail to display record-breaking performances to accompany their older teammates’ feats. At the pole vault event, sophomore Jonah Goldenbird finished third for the Brewers, hitting a height of 3.4 meters. First-years Calvin Scannell and Josh Lacoste both broke the minute mark in order to post collegiate-best times in their respective sprints. Scannell earned a 59.95 in the 100-meter hurdles and Lacoste won the 400-meter sprint with a 56.57. For junior Kate Lawson, the seniors have been a plentiful source of inspiration. “They are the strongest group of women I know,” she praised. Lawson started the day for the Brewers by earning a personal record in the 10,000 meter with a 39:29.34. Many of the seniors finished the day placing in the top of their events. Wiman posted an impressive 4:47.06 in the 1,500-meter for second place, while fellow senior Marcus-Tyler also secured second in the 400-meter with a 1:02.54. Pieper finished the 5,000-meter in her best time of the season, 19:37.75, while Land followed right behind with a time of 19:47.90. First-year Seneca Straub ran a personal best for the 1,500, finishing in just 4:47.06, while sophomore Sabrina Stacks beat her previous javelin record throw with a 31.99. Both the men and women will send runners to the Penn Relays in Philadelphia this week.